Cyber attack has put our lives in danger every second. The cyber attacks are becoming the root cause of the mishappenings around us every other day. As the next generation wars are increasing depending on robust and secure information systems networks, it is imperative for a country to invest in building a reliable infrastructure. As the next generation wars are increasing depending on robust and secure information systems networks, it is imperative for a country to invest in building a reliable infrastructure. 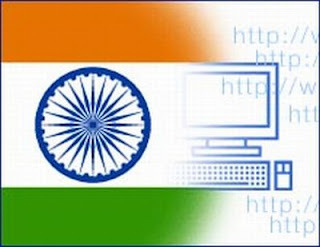 Increasing attacks on cyberspace in India has brought several professionals and experts from the Industry, in support with the last week, India’s Defense Minister, AK Antony, announced an additional $1.3 Billion will be invested in the project making the grand total to a $3.1 Billion. It is observed that many Electronic Notification is usually sent before a major terrorist attack, followed by defacement of government web sites such as Mumbai Terrorist attack. India is facing several cyber threats, reports claimed that government servers have been used in hacks against China and Delhi’s airport being being under a cyber attack. These reports are in addition to news of 112 compromised government websites during December 2011 to February 2012. Another Event, “The Hackers Conference” is being organized at India Habitat Center, New Delhi. It is first ever gathering in India which is going to be attended by several Blackhat Hackers too along with Security Experts hence providing a unique interface and platform for open dialogue between hackers and security experts to bridge the existing gaps in security arena to make Internet safer and more secure. The Hackers Conference will see a galaxy of renowned speakers presenting 0-Day Vulnerabilities, Exploits and Android/Blackberry/iPhone Hacks. Apart from Speakers presenting on WI-FI and Web Application Security the Special invitees from Government Intelligence Agencies will also speak on National Security Issues emerging from Scada Hacking. In the Nut Shell, this is an event where we are making a small effort to unite together with the Indian Government to support a cause that will allow us to have a sound and peaceful environment.